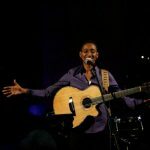 Jo Boyce is a songwriter, musician, singer and worship leader and is one of the founding directors of cjm|music. Jo and the cjm team have performed at many venues including Birmingham’s Symphony Hall and recently featured in this year’s Songs of Praise series. 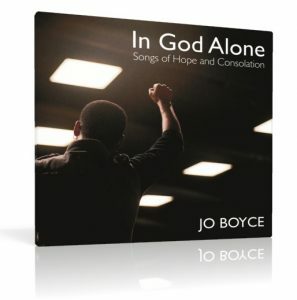 Jo has just released her first solo studio recording – a six track EP entitled ‘In God Alone – Songs of Hope and Consolation’. Click here for details and to listen to samples of the inspiring tracks. 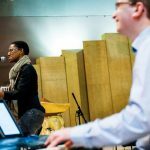 At the heart of cjm|music’s mission and vision is a commitment to resourcing pastoral musicians, liturgical ministers, worship leaders, teachers and catechists; engaging the skills of young people and to serving the church through the ministry of music and liturgy. We’ve been using Power Music digital music management software in our team ever since we moved out of our central office base at Coleshill. Working from our respective home offices just doesn’t allow for the volume of sheet music and books we used to use. 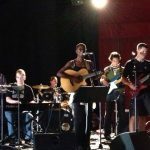 In the past, when we got back to the office after a ministry event, we would hand a paper pile of sheet music chaos back to our admin team so that they could re-file it into alphabetical order, so that we could find it again to plan and deliver whatever was next in the diary. 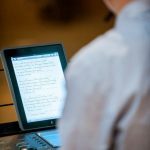 Power Music is the perfect solution for us because it enables us to digitise our resources – we still have all the same music and the original sheet music that we use most regularly but we’ve made digital versions of that using a Power Music format. The beauty of Power Music compared to other apps that are about is that there is an app for the iPad and more often than not we’ll use our iPads when we are out and about performing. 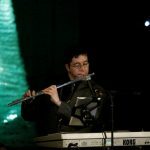 We’ve had guest musicians out with us who have used maybe their netbooks or laptops and most of the inputting process is done with the pc setting software of Power Music. That’s why this is such a great solution for us and why I think it is potentially a great solution for any musicians that need to collaborate remotely and I’m thinking particularly of Parish Music Groups who can plan the music from their Liturgies and share their repertoire – making sure of course that the Parish has got the appropriate copyright licenses. Of the many apps available for the ipad, the ones I have seen will do either chords OR sheet music. The Power Music app does both – and you can switch between which you want to display at a touch of a button. It’s a really great tool – 21st century digital is the way forward!